It is important that young children develop their technique using a football specifically designed for their age. These size 3 footballs are perfect for children aged between 6 and 9 years old. 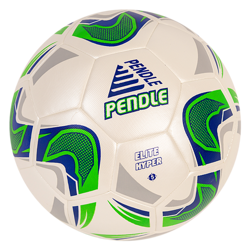 They are smaller and lighter than standard footballs and will help younger players build their confidence and develop their skills. As they progress, they will be able to transfer these skills to our Size 4 and Size 5 balls. With fantastic offers on a range of Match and Training Footballs, you will be able to find whatever you need to bring out the best of your players. Choose between our own range or the best that Mitre have to offer. All balls are of the best quality and include the same innovative technology as our other sizes.